This week’s “Video of the Week” features six couples dancing the Paso Doble and preparing for the 2013 NDCA National Championships in Provo, Utah. Out of those 6 couples, 3 of them are in the final that is also featured in the video and all 6 placed in the Top 9 of the event. 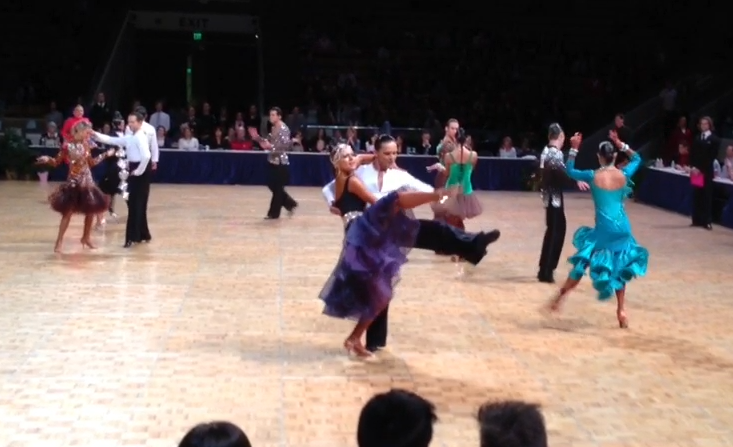 This week’s “Video of the Week” features six couple’s dancing the Samba in a “competition simulation” for this year’s NDCA Amateur Latin National Championships in Provo, Utah and then the final of the Samba for this event. What is key to note here is that 3 of the 6 couples were finalists in this event and all 6 couples placed in the Top 9! This weekend, Denys and Antonina competed in the Freedom to Dance Championships and made the semi-final of the event, competing against some of the world’s top couples. Having already become 2013 NDCA United States Amateur Latin National Finalists, Alex Karaulov and Vlada Semenova are off to an amazing start to their newly formed partnership together recently winning the Amateur Latin at the 2013 Sunshine State DanceSport Championships. The 2013 NDCA United States National Amateur Championships are hosted annually at the Marriott Center in the Brigham Young University in Provo, Utah. 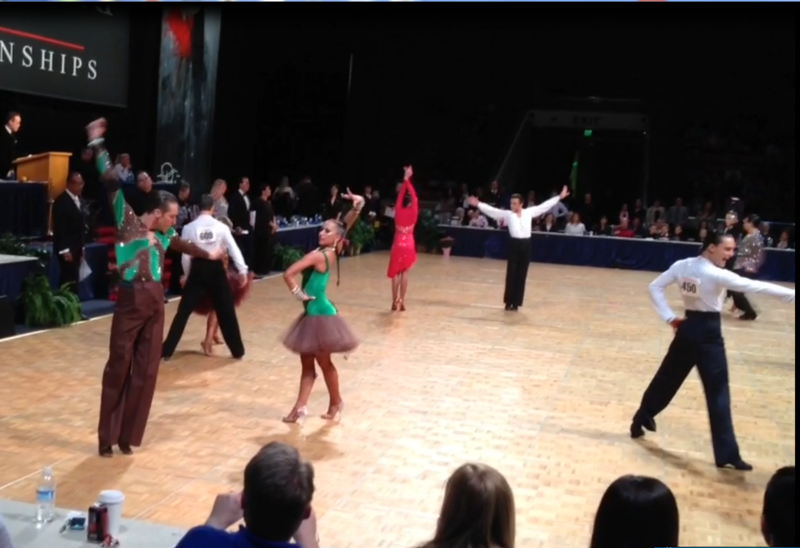 This year, BDSC had 8 couples competing at the event with 3 National Championships and 5 Nationals Finalists. Evgeniy Raev and Gabriella Sabler have been on a streak of wonderful results in the past couple of months and followed these results by placing 2nd in the NDCA United States National Under-21 Latin Championships. We wish them good luck when they travel to Paris, France later in the year to compete in the WDC World Championships. Patryk Ploszaj and Anna Kaczmarski capped off an amazing US Nationals by winning their second event, the Junior 2 Latin Championships. They will be traveling to Paris, France for the World Championships later in the year to compete in the Junior 2 Latin and Standard World Championships and we wish them the best of luck there!